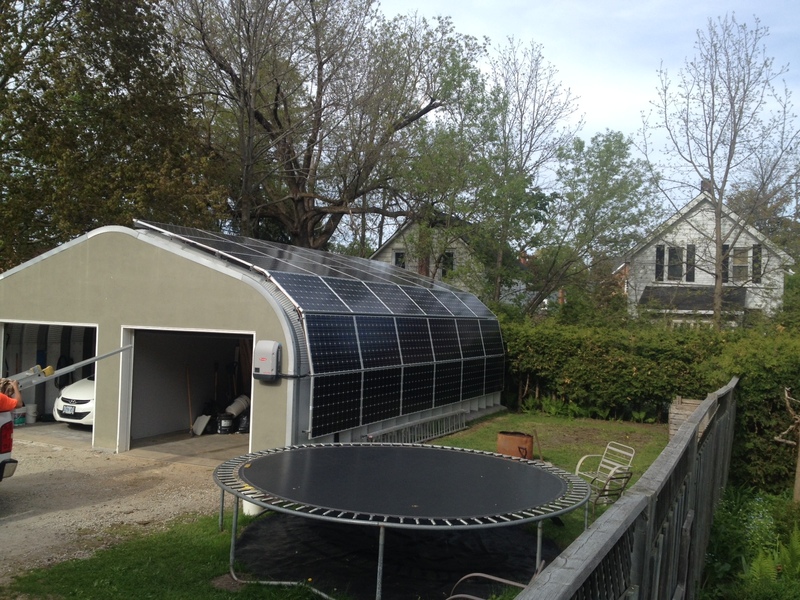 Home › Projects › Steel Building 10kw Microfit installation. This is a 10 kw Microfit system. Space was limited, but we will achieve the best returns possible with this system. 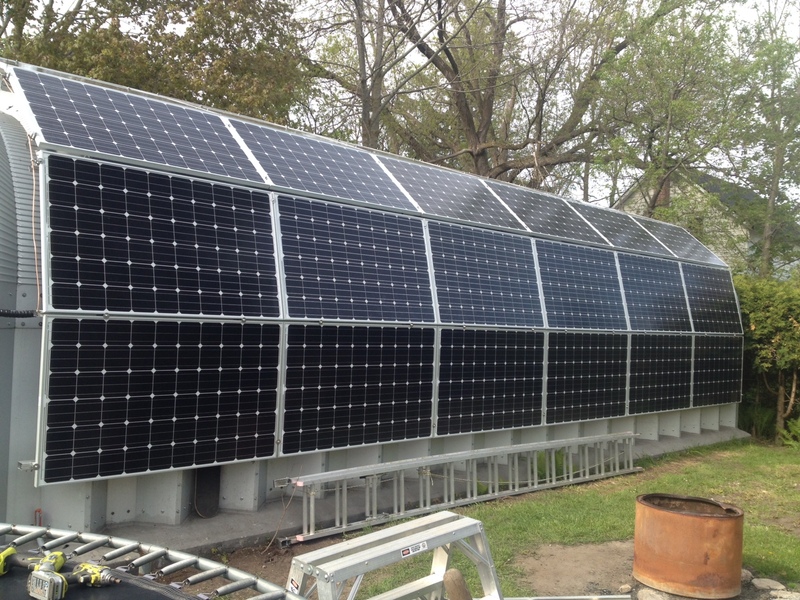 We used a combination of 285 watt and 265 watt panels, mono’s. As space was limited we used the new 7.6 kw Fronius Primo inverter. 96.9% efficient! I has 2 Mppt. This allows us to run too different kinds or sizes of strings. This system is running 285 watt panels on the top 3 rows of as 1 string. The bottom 3 rows are 265watt panels. If you know the math on the string sizes you will find we are running the top string at 703 volts! The new regs allow this as of May 15′! Super efficient, low line loss. We placed the 285’s at the top as this will be the best summer production. 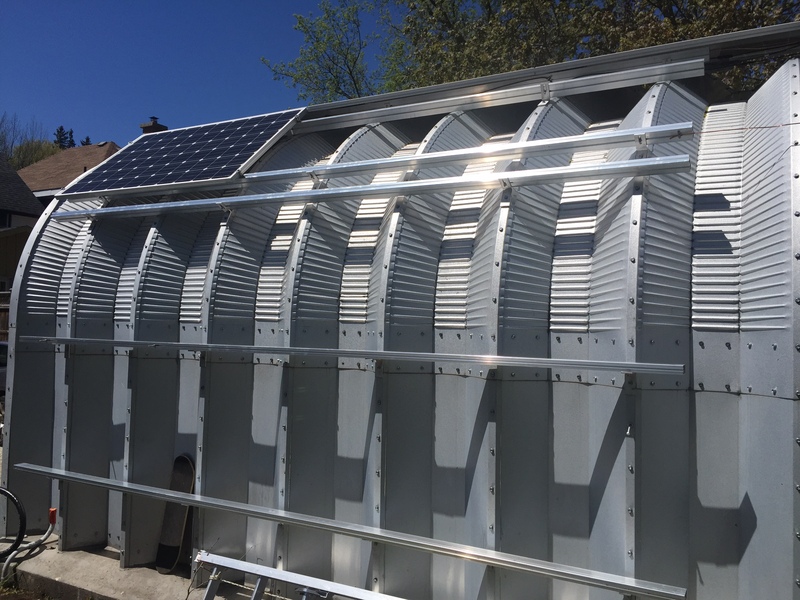 Great angle and the inverter can put 100% of the panel power through either Mppt channel. The lower panels will be easier to clear and keep clear in the winter, and will be at a better winter angle. In general the system will work as well as it looks. This Fronius inverter also will shoot a wifi signal back to the house for data on the web! We are also using our new rail design. It’s very strong. PV Racking and panel mounting. 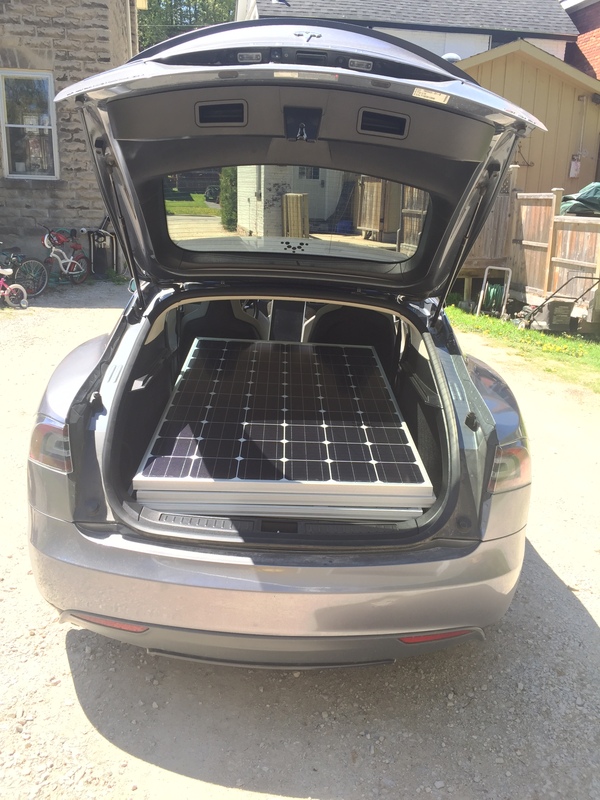 Solar powered, solar panel delivery system.